We all have right to cheer in life as much as possible. Although there are lots of occasions where we get a chance to have fun but, in all of them, your Birthday is very special one. It belongs to your existence. It is the day of celebrating your entrance in this beautiful planet. If you celebrate this day in remember-able way, you really give yourself a great boost. 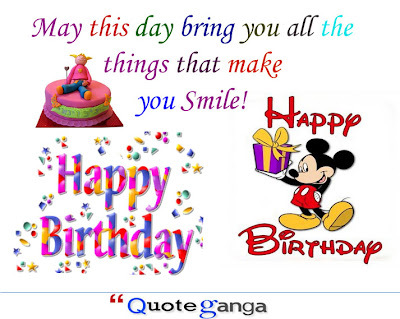 So whether it is your birthday or you are going to join someone else’s, we have written very special, newly created Birthday Wishes to create a difference, and to make them overwhelmed. 1.May you achieve everlasting milestones every moment of passing time. 2.It is surprising, how in a very short span of time, you have become from stranger to our most well wisher. 3.Nothing is as sweet as your smile. 4.You do everything with such a positive attitude that we love to follow you. 5.Your unique qualities make you so admirable. 6.You are so generous and understandable. 7.You always show your real self, avoid show-off and strict to your principals. 8.We deserve a party and you deserve all prosperity. 9.You are a problem solver, selfless, and good human being. 11.Good friend, great leader, motivator, idol, kind, open minded – you have got all of them. 12.We’ve been waiting for this big day from last 364 days, finally this beautiful has arrived. 13. You keep a special place in our lives. 14. Your company always give us so many positive vibes and on this great day let us grab all positivity. 15. You do lot of graceful things but take no credit. We love the way you guide us.